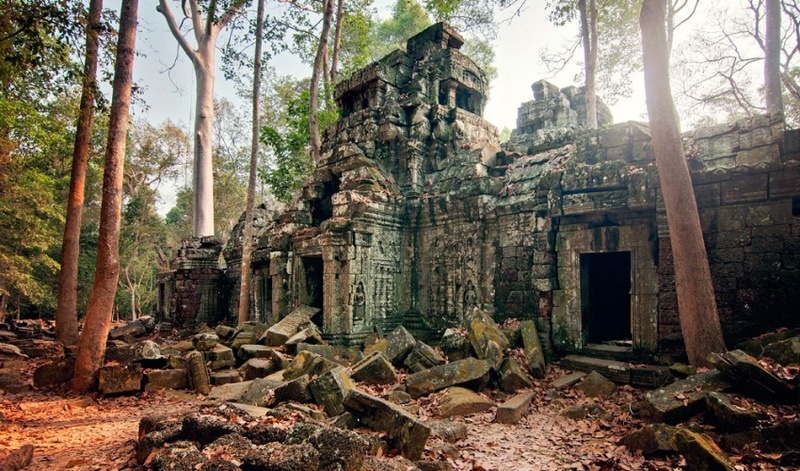 Prasat Ta Nei is a late 12th Century stone temple located in Angkor, Cambodia. 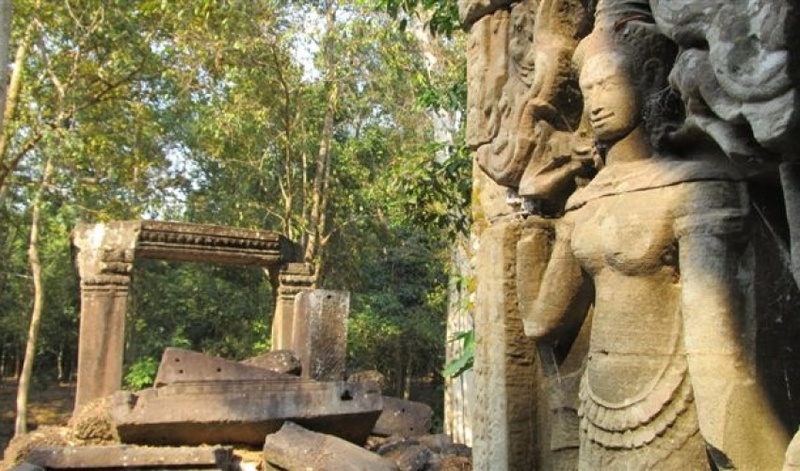 Built during the reign of King Jayavarman VII, it is located near the northwest corner of the East Baray, a large holy reservoir. 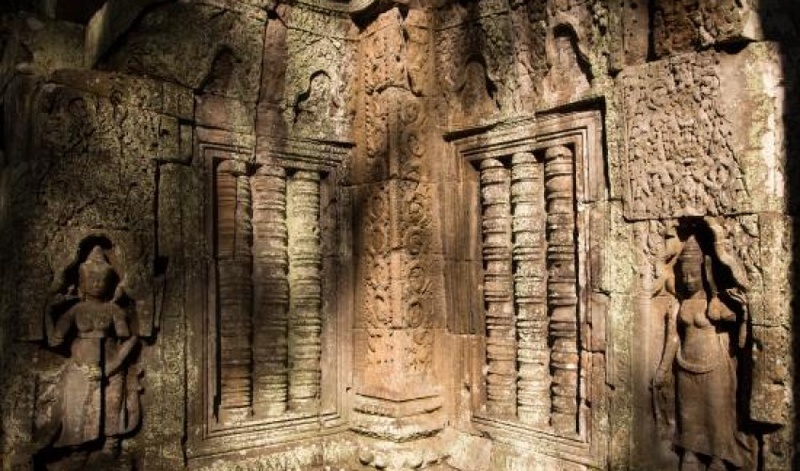 It was dedicated to the Buddha. 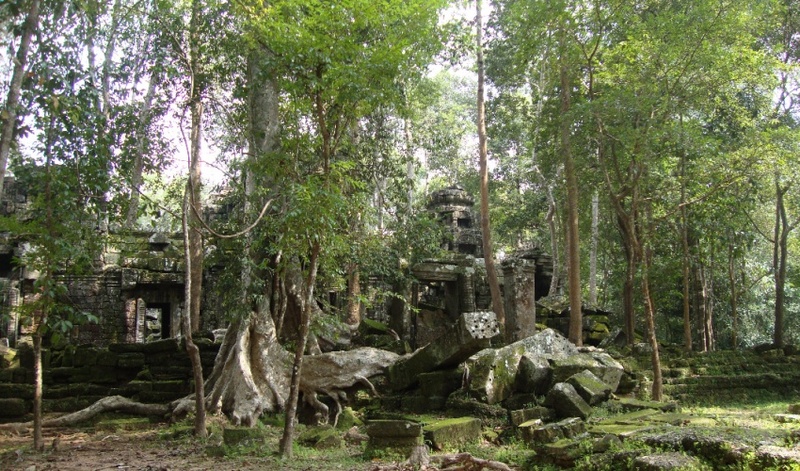 Small (55m x 47m), semi-ruined, untouristed jungle temple reminiscent of Ta Som, and displaying classic Jayavarman VII artistry. 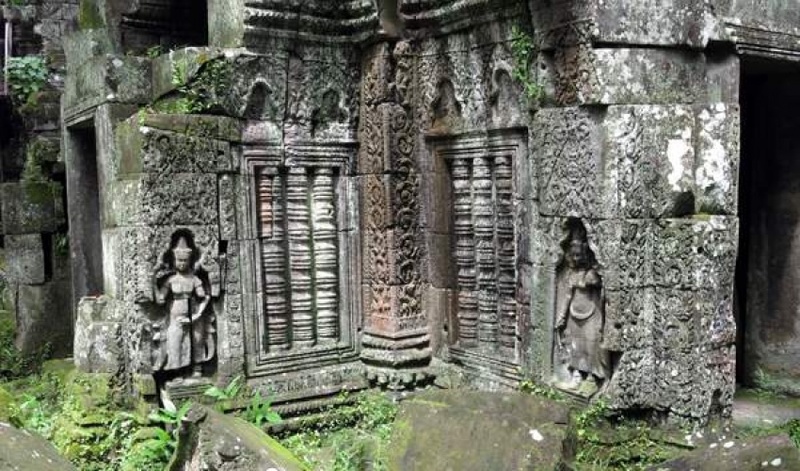 Some of the apsara and lintel carvings are in pretty good condition. 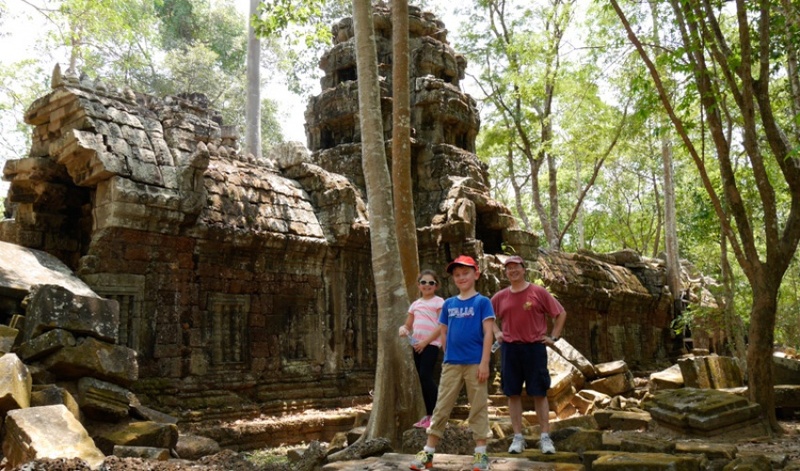 In much rougher shape than most of the temples on the main tour circuit. 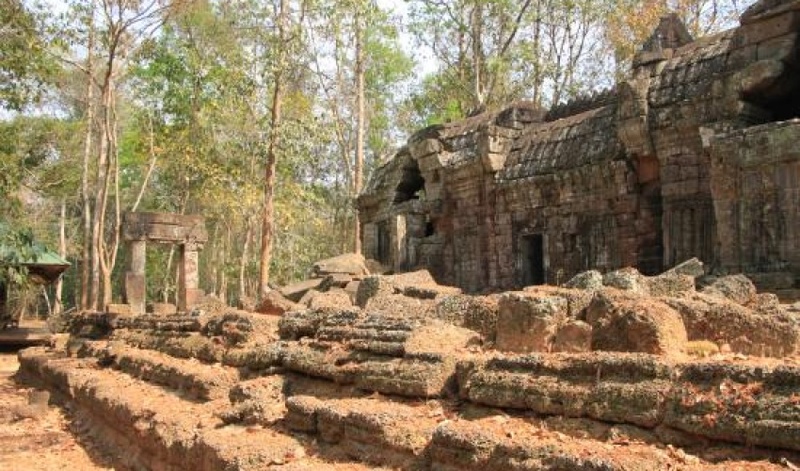 The primary road to Ta Nei from where it meets the Grand Circuit road near the southeast corner of Ta Keo was closed on last inspection. 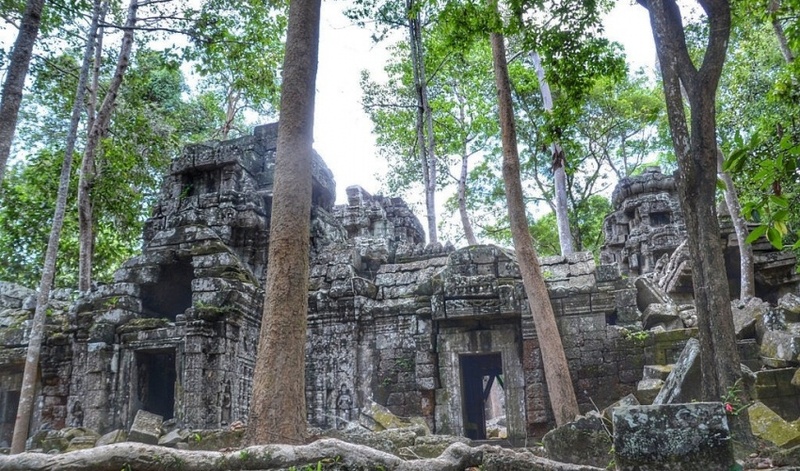 To get to Ta Nei, park at the end of the road near Ta Keo and walk the dirt road about 1km to Ta Nei, or by motorcycle, follow unmarked dirt road from just outside the Victory Gate of Angkor Thom to the 'French Dam.' Cross the dam and proceed 200m up a small path. 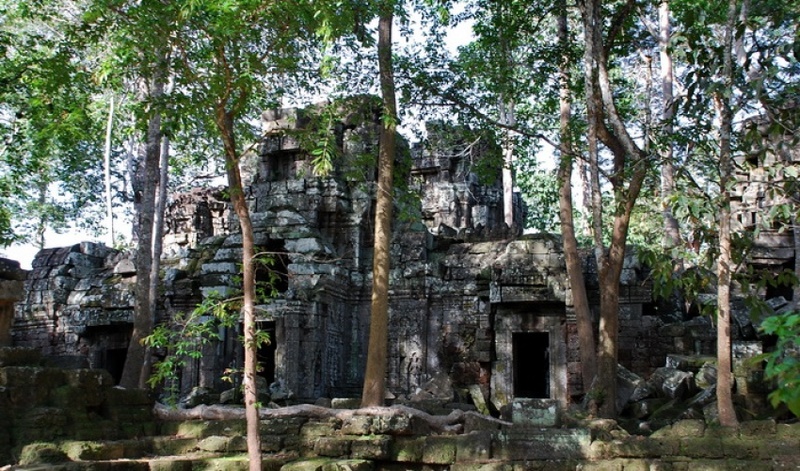 One of the smaller Angkor Temples, Ta Nei was built under King Jayavarman VII in the late 12th century. 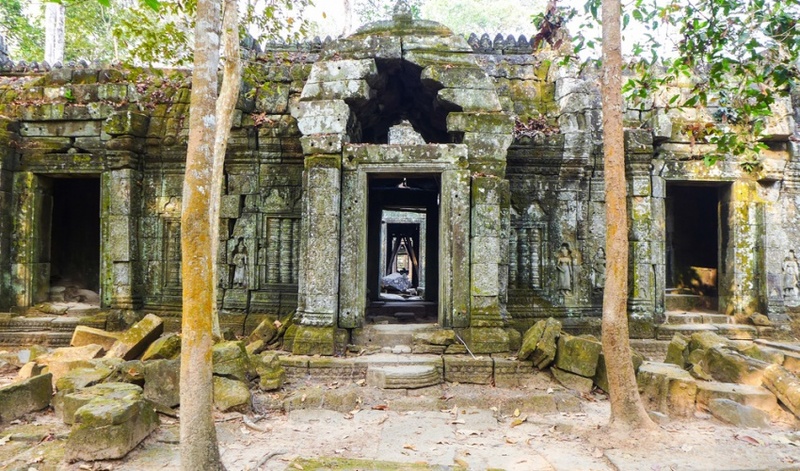 Some scholars believe that the temple was constructed as a hospital. 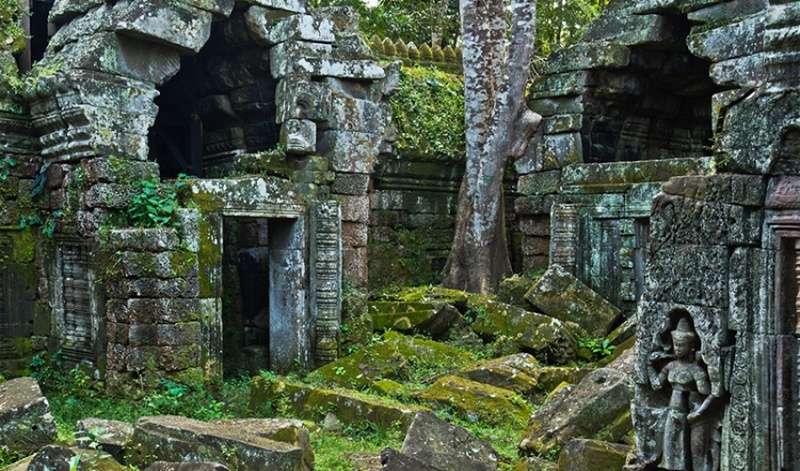 It is now in a fairly ruined state and approached only via a track through the forest. 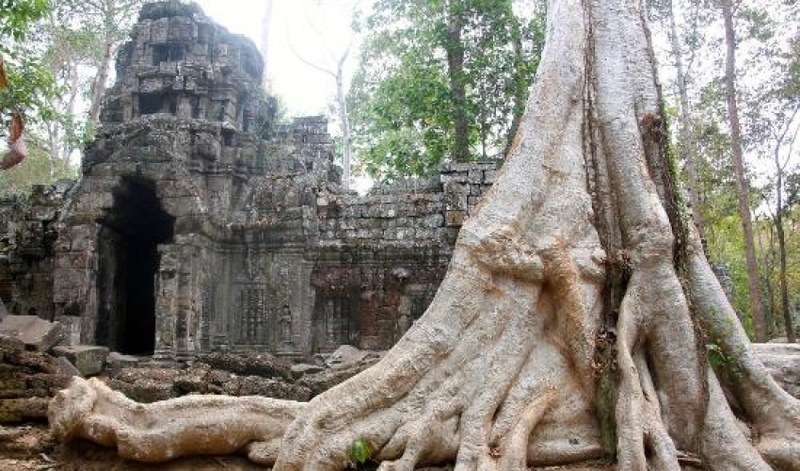 Travel from Siem Reap to Ta Nei temple around 14km (23 minutes by car, 30 minutes by Tuk Tuk or an hour and a half by bike) either via Srah Srang and Ta Prohm or through Angkor Thom and the Victory gate. 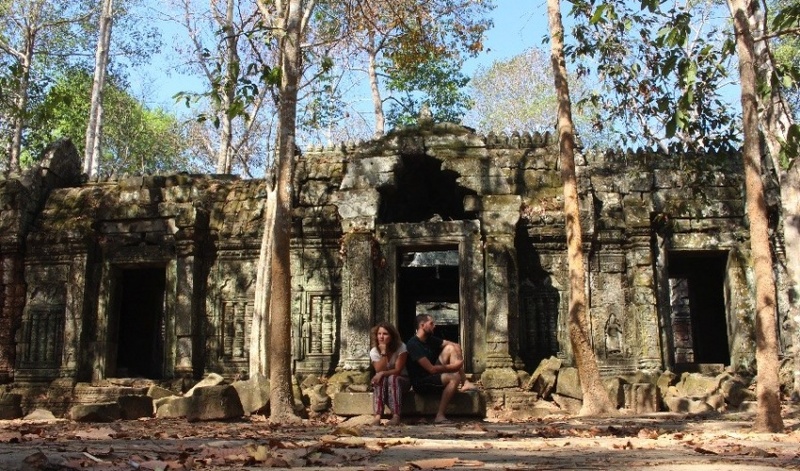 You can visit Ta Nei temple at any time of day; most Angkor temple tours and tour bus crowds do not venture here as theer is no vehicular access. 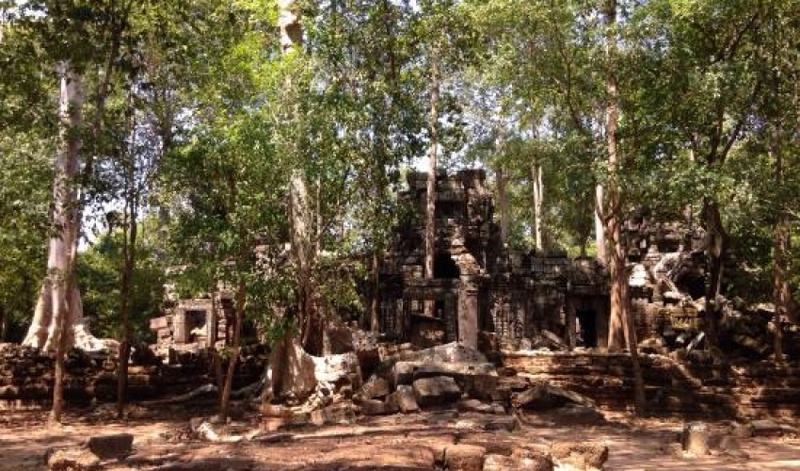 A Ta Nei Temple plan can be useful for orientation but this small temple is easily navigated. 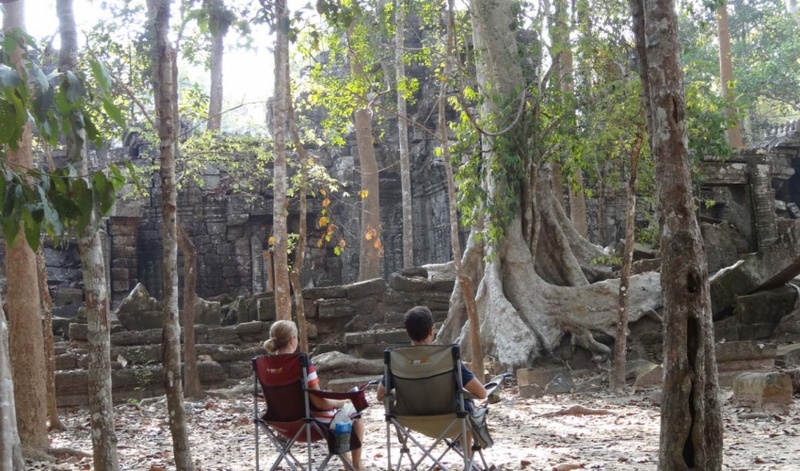 An expert local tour guide from Siem Reap will ensure you find the site through the forest trail and get the most value from your time at the site.